© 2018 Body/Mind Dynamics Inc. All rights reserved. 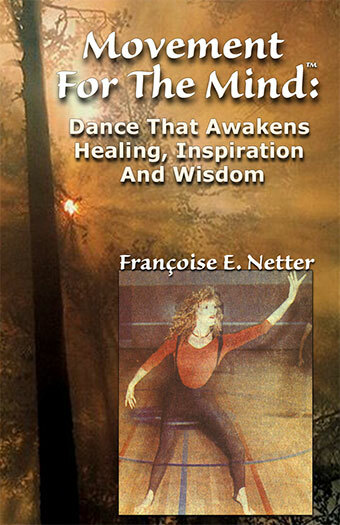 An exciting new book, Movement For The Mind®: Dance That Awakens Healing, Inspiration And Wisdom is now available in both hard copy as a paperback and as an eBook for download. It describes a unique way to integrate creativity that begins in the body and translates to your life. It also explores the dynamic aspects of healing, wholeness and inspirational wisdom. The thousands of people who have participated in Movement For The Mind® have reported a wide variety of benefits. Watch part of a YouTube video on Moving the Body, Connecting the Soul presented at INATS (International New Age Trade Show). Listen to Suzanne Toro’s radio show interview about the book and Movement For The Mind and how it will improve your life. 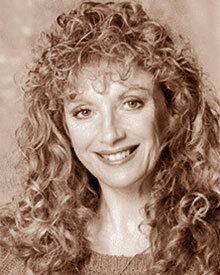 Or listen to Bob Charles’ radio interview with Francoise about the value of Movement For The Mind. You can also listen to Dave Barnett’s radio interview about the book. After listening, let me know your thoughts. The rewards that come with physical exercise are generated, such as the release of endorphins and the increase of the body’s ability to utilize oxygen. A sense of wellness, relaxation, and exuberance accompanies the session. Creativity is enhanced. The mind relaxes while the body leads energetically. This can activate insights and realizations that surface freely, bypassing our habitual mental censorship. It can also lead to inspiration in other subjects, art forms and to problem solving. Emotions and feelings, including those long forgotten or repressed, can be easily expressed and released. Stress is relieved through breathing exercises and other techniques that increase one’s control over internal reactions and thus ease the effects of stress. Both physical and emotional healing becomes a process of empowerment. Joy and a sense of connection in the body replace the traumas of physical and emotional pain. How Do The Book’s Benefits Occur? These benefits occur through a twofold process. The first part embraces the power of dance itself. The second part addresses the capacity to integrate the power of the mind with the body’s intelligence, and speaks to the inherent connection between mind and body. The information in this book offers a unique antidote to many of the problems facing us today. It integrates body with mind and creates a vehicle for learning, fun, creativity and revelation. It incorporates the principles of “The Secret,” “Shadow Work” and utilizes as a vehicle what we all share in common: our bodies and minds. It is akin to Yoga and to what the ancient Yogis instruct us about life: That the treasures that we all are looking for are always there, right in front of us or more precisely, within us. Whether you are an educator seeking to integrate right and left brain learning in your classroom, or a working professional seeking stress management, or someone who is ill and suffering from chronic pain, or someone who is seeking greater peace and clarity in your life emotionally and spiritually, or someone who just wants to expand your creativity — this book can offer you an expanded vision and experience. 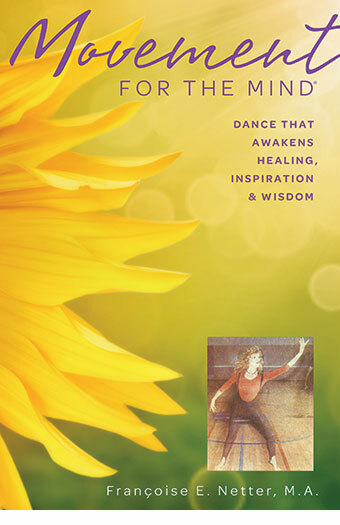 For those of you who have already experienced the aesthetic delight of movement, this book will teach you how to combine a sense of purpose and mental clarity with your movements allowing you to design dances that can teach, heal or simply exhilarate. In an age that is dominated by the intellect and technology, this technique of moving mindfully takes you deeper into your psyche and at the same time allows you to safely re-connect to your body. Connecting to the body while focusing the mind allows you to capture the moment and pause in a space that can align you physically, mentally, emotionally, and spiritually. This experience of internal alignment causes profound insights, and can lead to significant physical and behavioral changes. Because the technique is largely internally directed, the fear of being watched or compared to others is eliminated. This allows you to discover a personal freedom in your body that you may have reserved only for childhood. Each person’s experience is unique and yet universal themes such as feeling relaxed, energized, enthusiastic, alive, more aware, and connected are shared by individuals of all ages and from all walks of life. Read a sample of the book or see the photos from Françoise’s book release party. Also read a book excerpt published in BellaSpark magazine. Click the Add to Cart button to order. Once ordered, the page automatically updates to display your shopping cart; scroll back down until you see the shopping cart, where you can edit quantities or checkout. Take your experience to the next level, with our two bundles. 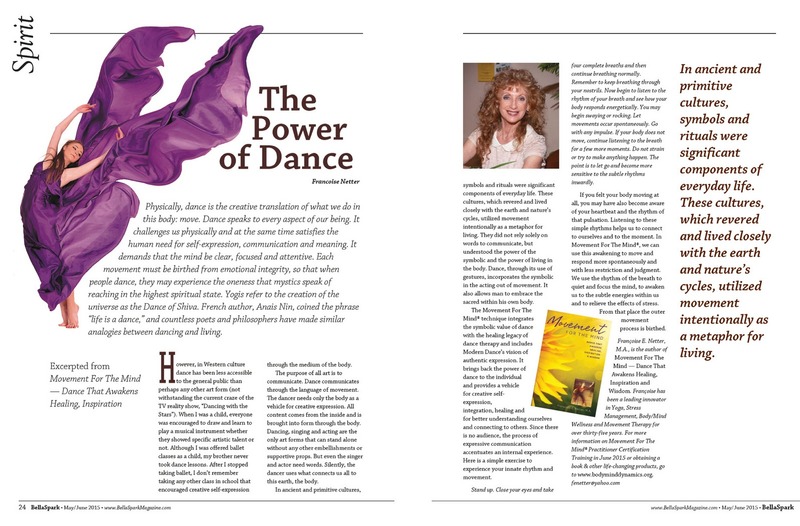 To accompany the book, each bundle includes our popular audio CD: The Magic of Movement – Movement For The Mind®. The audio allows you to more fully experience the creativity of Movement Exploration. This self-help audio will facilitate exploration of the body in a creative and powerful way through guided imagery, which is described in chapter two of the book. See the complete details about the audio on our Products page. Buy a bundle and save. The digital bundle saves you over 20% compared to buying the eBook and companion audio separately. The traditional bundle saves you over 12% compared to buying the paperback book and companion audio CD separately. Traditional Hardcopy Bundle, which includes a paperback book and a conventional audio CD. Digital Bundle, which includes an eBook and digital audio – for immediate download. Here is more information to help you decide before ordering. See also our Product Order FAQs (Frequently Asked Questions). Each copy of the paperback book is $21.99. (Shipping and handling is $5.95 for the first paperback book, and $2.95 for each additional paperback book. Free shipping on orders over $75.00. Please contact Body/Mind Dynamics for information about ordering large quantities. The eBook is provided as a digital download. The book is an approximately 2 MB file in the popular Portable Document Format (PDF). PDFs can be read on most computers, as well as on most eBook readers such as iPads, Kindles, Nooks, and so on. The free Adobe Reader or similar software is required to view PDF files. Each copy of the digital eBook is $10.99. (There are no additional shipping or handling charges on digital downloads.) Shortly after checkout and payment, you will receive an e-mail with a unique link to download your products. You can download your products anytime within 72 hours. In addition to our PDF edition, the eBook is also available for purchase on Smashwords in native formats for Kindles, iPads, and other devices. Have a NOOK eReader? The NOOKbook edition is available for purchase at Barnes&Noble.com. However, the following digital bundles are only available here. In addition to the paperback book, you get a traditional audio CD. Each copy of the traditional hardcopy bundle is $37.99. (Shipping and handling is $6.95 for the first bundle, and $3.95 for each additional bundle. Free shipping on orders over $75.00. Please contact Body/Mind Dynamics for information about ordering large quantities. In addition to the digital download eBook, you get a digital download audio. Play digital download audios in popular MP3 players, on your computer, iPhone, iPod, etc. Digital download audios are provided as a number of MP3 audio files, plus an instructional PDF, in a 45-55 MB Zip file archive. Simply unzip and load the audio files onto your favorite devices for playback. You can also use programs like iTunes to make a CD copy for your personal use. Each copy of the digital bundle is $20.99. (There are no additional shipping or handling charges on digital downloads.) Shortly after checkout and payment, you will receive an e-mail with a unique link to download your products. You can download your products anytime within 72 hours. “I feel more energized after doing the Movement For The Mind dancing. The first time I did it in the group, I had been battling fatigue, but I felt more energy afterwards. Today, when I did the dance at my home, I was energetic to begin with, but it was an energy mixed with a low-level irritation and impatience. After the dance both times, I feel a wonderful combination of energized, yet calm mind, and very calm body. Taking the class, and doing the exercises with a verbal guidance, then reading about it was perfect for me as I could visualize and mentally re-create the whole process.